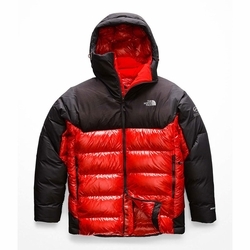 The North Face Summit L6 AW Down Belay Parka. Designed for long, cold belays in variable weather, this harness-compatible, 800 fill down parka features DryVent overlays in key zones to keep you warm, dry and focused on the next pitch. Length from Center Back: 32"